I chose the Danube for my river cruise in November specifically because it stops in or near several important and gorgeous cultural capitals (including Vienna and Budapest), and I wanted to be in those cities during their Christmas markets. My wife and I are looking to go on a 10-day river cruise this year (our first). Which of Europe’s rivers would be most interesting? We have been told that some rivers can be on the boring side. We are not looking for a cheap option and are prepared to pay up to £2000 each. Hope that you may be able to assist. Great question, David. I’ve sailed on the Seine, the Rhine, and the Danube, and, in my opinion, the prettiest of those is the Seine: There is more scenery that is pastoral rather than industrial, the river winds and swirls a lot more, and it’s also narrower and so the passing boats are smaller and more rustic and charming. The Rhine has the most activity and the most transportation you can see from the ship (often you see trains go by along the riverbank); it’s like being on a highway of ships. But it’s also got the most castles. The Danube is very pretty in parts (especially the stretch from Durnstein to Melk that is famous for its vineyards and castles), but it too is industrial for stretches. All three rivers have a lot of locks. I’ve heard that the Mosel (sometimes spelled Moselle) is quite picturesque and, like the Seine, is relatively narrow and winds a lot. A couple of ship captains and river-cruise execs have told me it’s their favorite. Of course, just as important as the river’s landscape are the cities and villages you stop in. 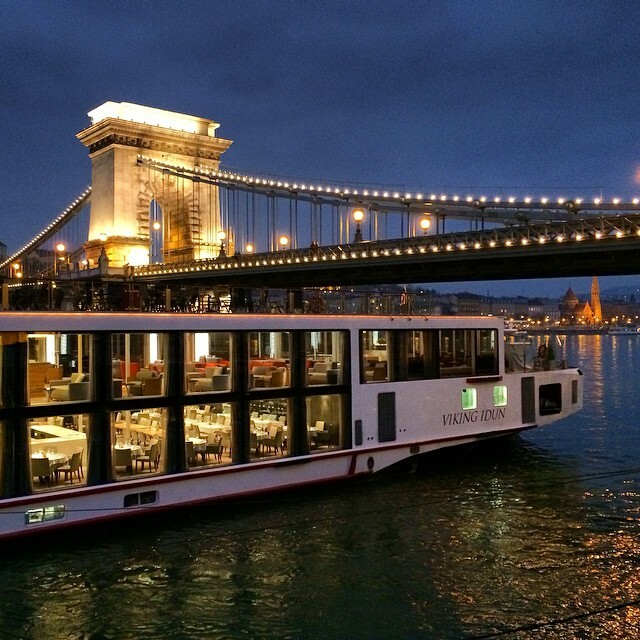 I chose the Danube for my river cruise in November specifically because Danube cruises tend to hit at least four countries (Germany, Austria, Slovakia, Hungary) and several important and gorgeous cultural capitals (including Vienna and Budapest). I specifically wanted to be in these big cities during their Christmas-markets season. Ships on the Seine tend to stop in more small villages than big cities. David, you’re the perfect example of someone who would benefit by using the right travel agent who specializes in river cruises. You need an honest adviser who knows the differences among all the rivers and ships and can make sure you get exactly what you want and spend your money wisely. If I were you, I’d reach out to European river cruise specialist Tom Baker. Wendy, I just came across your site & had a couple of questions. We want to travel to Europe next yr 2019 for about a month. I was thinking about taking 2 diffrent cruises, I have been to Europe several times but my husband has not. I would like to rent a car & travel around Europe but my husband would rather take a river cruise. He’s interested in WW2 areas so my thought process would be do 1 10-12 day tour doing those areas & then another to Paris, Amsterdam areas like this. Any suggestions? Have traveled with Uniworld 8 times, enjoy the cruises and variety of offerings very much. Just returned June 2016, from the Spain, Portugal and Douro River Valley cruise with Uniworld. Douro Valley was phenomenal! Dear Wendy, I just discovered your site, though I am a Conde Naste Traveler subscriber. We have traveled many places through the years, some pleasure, some business. We have had to be basically homebound since December, and except for our usually summer trips (cottage in July in Wisconsin, and 2 1/2 weeks in late August in Nantucket, we are looking for a cruise – probably River Cruise after October 14. What do you think of the Duoro River in Lisbon? The river cruises have done are Avalon (University trip) up the Seine to Normandy – liked the cruise n, not wild about the boat; Uniworld on the Meine and Rhine – Nuremberg to Cologne – loved Uniworld. Other cruise lines we have loved are Windstar (2x) , and LePonant (University trip) -Crystal was the biggest ship we have taken Vienna – Barcelona) and we enjoyed it more than we thought. I will not go into regular travel places. We want an escape in October. I loved the Rhine for the Christmas Markets, but I have heard the other rivers are nice for that too. You might also look at the Thames. The luxury Magna Carta barge (only 4 cabins) sails to/from Hampton Court Palace and Henley, with complimentary pick up at The Stafford Hotel in St. James’s. This easy cruise goes through Runnymede, Windsor, Oakley Court (where Rocky Horror Picture Show was filmed). Certain cruise dates offer tours of the Downton Abbey-inspired estate.